This division of HPT is focussed on the development and supply of complete Fuel Cell Systems. As a Fuel Cell Systems integrator, HPT has successfully developed a number of systems for backup power, and transport applications, since 2008, and is currently expanding into developing specialized solutions for Materials Handling. Hot Platinum combines its extensive expertise on Power Conversion, System Design, Cooling and System Management to develop innovative and fully integrated Fuel Cell Systems. A fully integrated system incorporating an open cathode self humidified Air Cooled stack was developed for rural off-grid electrification. The system includes the Fuel Cell Stack, Balance of Plant controls, Power Conversion System which includes a DC-DC converter, Battery storage and DC-AC inverter systems. HPT also developed the Fuel Cell Management System and automation controls. UPS backup power unit – This mode allows the unit to be connected to the grid or an electrical supply, and supply the 3kW power to the application load. During this process the Fuel Cell is in standby mode, and when the power fails, the unit automatically runs the fuel cell and supplies the application from the Hydrogen gas supply. The Hydrogen is supplied from a rack of gas cylinders with a supply pressure range from 5 bar to 250 bar. The unit also features a full data logging system which records all parameters and alarm events for fault diagnosis. A 3G Remote Access Terminal allows the system to be monitored and controlled remotely. This can be used for remote data logging as well. HPT is currently developing a Fuel Cell Power Pack for an electric forklift; which would be a direct replacement for the existing battery system in an electric forklift. This solution will allow facilities to decrease downtime due for recharging and reduce emissions. 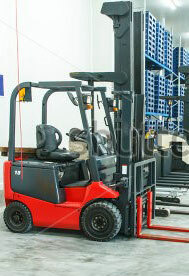 In addition the faster refueling times compared to battery charging systems, will allow facilities to decrease the number of forklifts required. HPT developed a completely integrated hydrogen fuel cell backup power system demonstrator capable of storing hydrogen supplied by an electrolyser using metal hydride, and delivering the hydrogen at higher pressure to the Fuel Cell to provide 2.5kW. An open cathode self humidified, Ballard air cooled fuel cell was used. HPT completed the full design,layout, hardware and software development, system integration and manufacture of the system. The Metal Hydride Storage and Pressure Boosting System was developed by HySA Systems. HPT developed systems to control the storage and dispensing of Hydrogen from Metal Hydride Storage Tanks; for HySA Systems at the University of Western Cape. 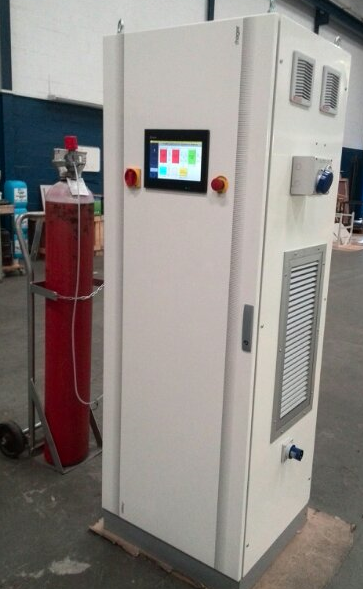 The Control System, with associated Balance of Plant and User Interface controls were design and manufactured by HPT.